Yep, another crash. Only common denominator is the transmitter. 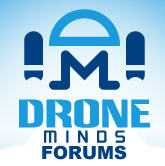 Discussion in 'General Drone Forums' started by photojunky, Oct 21, 2018. I went for over a year without an issue and then bombs away. I have had a series of crashes. I did have a bad battery but don't know if that was it. I could get flight times of over 22 minutes without issue but sometimes the copters would act gittery for no reason, and this was on several different drones. The only common denominator is my Futaba 10J transmitter. This time I had about 10 minutes in and it just flew away into my neighbors yard. So embarrassing. I am stumped. Any thoughts?